Today’s guest post is a great one, and courtesy of Gail and Penny from To Press & Beyond – a full-service book shepherding company that specializes in children’s and juvenile titles. I invited them onto the blog to give us some actionable tips on how to market a children’s book. And boy did they deliver! I think you’ll love these 6 powerful ways to spread the word about your kid lit. 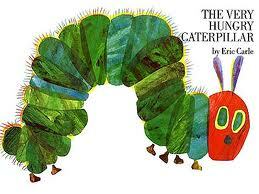 Oh how I love The Very Hungry Caterpillar. What’s your favorite children’s book? Picking one up can be such a comforting activity, don’t you think? So you’ve written a children’s book, hired an illustrator (or illustrated it yourself), and it is now at the printer’s (probably in China if it’s four-color). Now what? It’s time to put your marketing plan in motion. Children’s books have some unique opportunities when it comes to marketing and PR. The following shouldn’t be overlooked. There are ways in which books can be sold during an author visit. The author will provide a flyer/order form for the school to use for handling book sales. These are sent home to the parents. The school will handle sales through their own distributor or a bookstore in their community. What can authors do during a school visit? Make it interactive. Handout sheets are always great. They can be anything from “Did you know?” to coloring book pages of the characters in the story. Don’t forget to have someone snap a picture or take a video of your visit. It’s bound to be a valuable addition to your website or blog. Here’s another tip: Some Barnes & Noble bookstores will host school visits and include authors in their programs. Check with your local store and ask to speak with the Community Relations Manager. Most book awards require an entry fee, ranging from $25 per title to $150. If you have the budget, it’s worth it to submit. Should your book be named a winner, you can get stickers for the cover, send out a press release, and add to your collection of testimonials! Catalog sales require a bigger discount than wholesale or retail, but you can usually negotiate nonreturnable. That means all sales are final. Research catalogs that are a good fit for your book. Get samples. Are there items in the catalog that your book would pair well with? If so, be sure to include this in your letter to the catalog merchandise director along with a finished copy of your book. To find more catalogs, check out the Directory of Mail Order Catalogs. A bit pricey but could be worth its weight in gold. http://www.greyhouse.com/marketing.htm. Or your local library may have a copy. Think about where your book might sell other than to catalogs, libraries, and in bookstores. If your book is a concept book, would it work for therapists and social workers to be placed in their waiting rooms? A tea party book might be a good sale for teashops. Does it have a nature theme? We helped a local author with her book on butterflies in the garden. Sales have been brisk in the local natural history museum. Maybe you have a seasonal book. “Scarecrow Finds a Friend” by Blume Rifkin had the perfect tie-in with Halloween, so she sets up a table each year in the local farmer’s pumpkin patch, wears a witches’ hat, and sells autographed books. What fun! 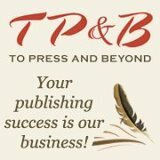 About the authors: Gail Kearns and Penelope Paine of To Press & Beyond have over twenty years of book industry experience. Located in Santa Barbara and London, they are specialists in children’s and juvenile titles, and can assist with all aspects of book production from design and ghostwriting to editing and promotion. www.topressandbeyond.com. Contact: info@topressandbeyondcom or 805-898-2263.